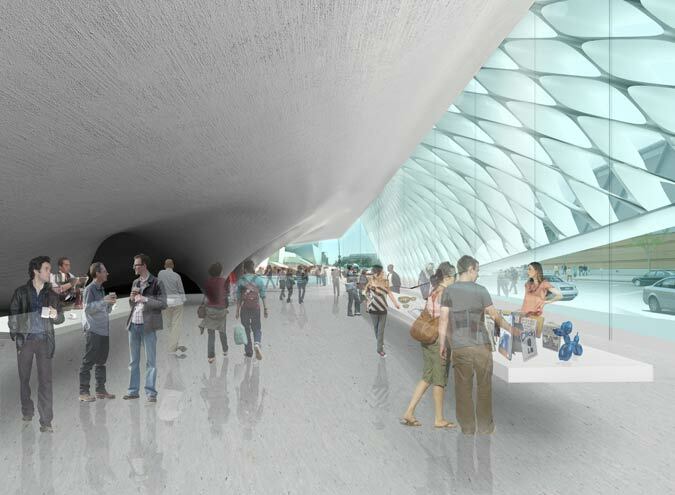 Yesterday, Sam Lubell detailed The Broad Foundation’s much-anticipated LA museum complete with all the renderings. Now, we have a video fly-through of the new Diller Scofidio + Renfro-designed space and isn’t it something! You can really start to appreciate the porous nature of The Broad‘s structural concrete “veil” and the views inside and out it will offer. You also gain a sense of its street presence sitting alongside Frank Gehry’s Disney Hall, which appears rather large in comparison. What do you think?